Imagine having just given birth via c-section to your child. You've had to wait to hold your little one until you and baby are stable, and when that moment finally comes, it's glorious. Just blissful. Hold the phone. Am I reading that right? Yep, totally read that right. Thank goodness this mom didn't ask for skin-to-skin twice. 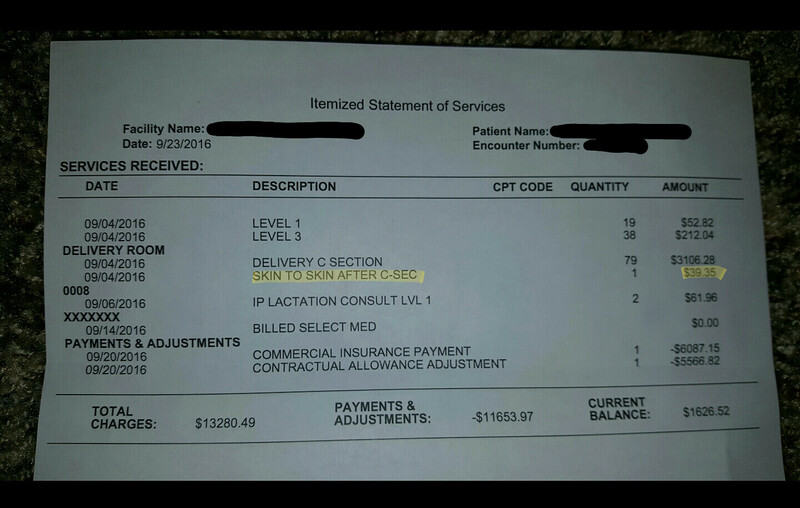 For a little more context, the charge is due to the staff it requires to bring the baby to mom while she is still on the table. This ensures baby is safe. But still, it would be nice if we moms could just get one freebie.